So my grandpa worked at a dealership years ago. Some guy came in and sold his MK3 to the dealership. He was a doctor who had bought it for his wife, but she didn't want to learn how to drive stick (lol). So my grandpa bought it from the dealership and with it came this towing hitch. Apparently the doctor had it custom made so he could tow around his golf cart. Last edited by Supra_Spooler; 03-29-2019 at 08:15 AM. IMO...I don't catalog that part as rare since it is aftermarket and probably locally built. Rare to me is if Toyota or a well-known aftermarket company ever made to sell to the masses in limited quantities and not many left in the market. Yeah fair point, I should've named it custom part and not "rare". Still interesting though lol. 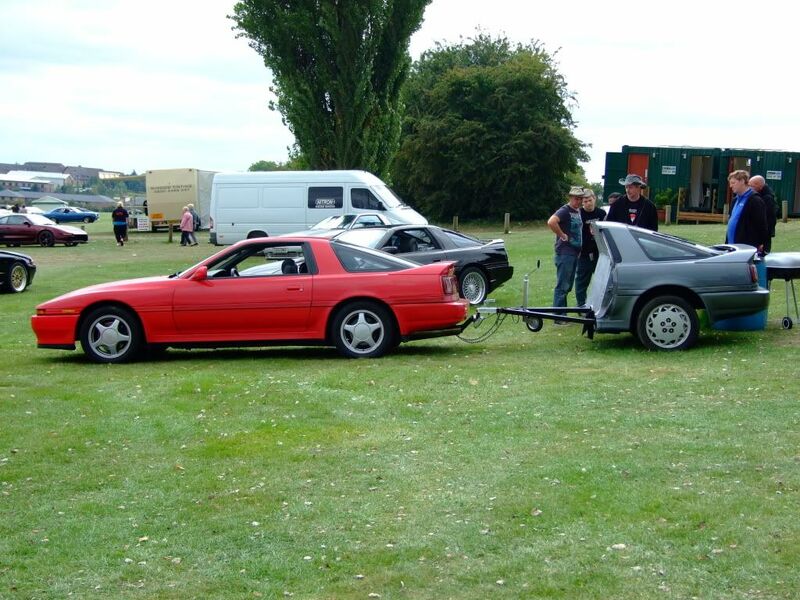 It'd be fun to see how much a MK3 could tow - I suspect the stock suspension would be the limiting factor, not power or powertrain parts! That hitch is custom.....i bought my hitch off auto zone shelf for $50, you do have to remve bumper and cut the bumper to get it to fit. I don't have anything to tow at the moment, but when I do I'll let you guys know how it goes! Ps: Anybody know how to edit thread titles? I was searching for one for a little while, just to pull my jetski. Ended up deciding against it because I didn't want to deal with a 5 speed on a boat ramp. So I bought a hitch for my SC instead. 87-92 camrys use the same (or similar) hitch. Some are flat bar as pictured, others are receivers. Never could find one in a scrap yard but they're only ~$100 online. As was said above, bumper modification is necessary. 1989 Supra: 7M-GTE White package, blue leather, targa, original 100k+ HG. Dropped on B&G's, Lex/550 and a 60-1, intercooler and piping. FWIW, I towed my father's 1971 Beetle from MD to PA with a Reese hitch and tow bar. Looks like dreck. Even though the owners manual mentions towing, it's totally out of character for the car.